S (Scripture): 1 Corinthians 14:13 So then, one who speaks in a tongue should pray that he may interpret. 14:14 If I pray in a tongue, my spirit prays, but my mind is unproductive. 14:15 What should I do? I will pray with my spirit, but I will also pray with my mind. I will sing praises with my spirit, but I will also sing praises with my mind. 14:16 Otherwise, if you are praising God with your spirit, how can someone without the gift say “Amen” to your thanksgiving, since he does not know what you are saying? 14:17 For you are certainly giving thanks well, but the other person is not strengthened. 14:18 I thank God that I speak in tongues more than all of you, 14:19 but in the church I want to speak five words with my mind to instruct others, rather than ten thousand words in a tongue. 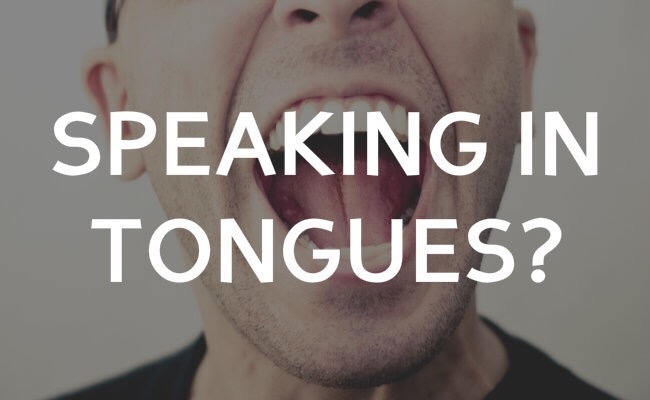 O (Observation): Paul is addressing the gift of speaking in tongues. He accepts that some will speak in tongues, and some will be able to interpret such utterances as a gift of the Holy Spirit. However, since not all possess such gifts, he finds that it could be a hindrance (or of no helpful significance) to a fellow believer for one to speak in tongues without also translating these utterances into a message that all can comprehend. Paul nods to the individual gifting, but also towards what is best for the community. A (Application): The rugged, pull-yourself-up-by-your-bootstraps individual is an idol in America. We pay homage to those who have made their own way in this world. That is certainly to be respected, but not idolized. Why not? I believe that notion gives us permission to live isolated lives. How many of your neighbors do you socialize with on a regular basis? For me, it’s about zero. Sure, we know our neighbors, but rarely will we feel called to socialize with them. This is an area in which I’m seeking God’s grace. Jesus lived in 3 dimensions: UP, IN, and OUT – With God, With Disciples, and With the Community. Paul reminds his disciples that living connected to God (UP) is great, but that the OUT dimension and the IN dimension must also be kept in mind. I wonder if you have given any thought to your place in the Christian community? Do you sing? Are you good at thinking things through logically? Do you receive insights and visions for the world around you? P (Prayer): Lord, you gift us. Help us to share these gifts in a way that benefits the community around us, for we are not to live unto ourselves alone. Amen. This entry was posted in Digging Daily and tagged Corinth, In, Individual, Interpretation, OUT, Relationships, Tongues, Up. Bookmark the permalink. Christ did not give us spiritual gifts to use only on ourselves. They were given with the intention that we would share them with others. “Bootstrap Glorifiers” would do well to remember this. Gifts of the spirit are meant to be shared.